SEO. Online ads. Social Media. You’ve heard of all the major ways to boost your mortgage marketing. You might even be heavily involved in them, helping to take your mortgage brand to the next level. But that doesn’t mean you can’t still optimize. There are other ways to give off a great impression in the mortgage business. And many of these little tips and tricks are precisely what your competition is forgetting about. Let’s look at five little-known boosts to your mortgage marketing that can have a dramatic impact on the way your brand is perceived. Your voicemail message isn’t just a good way to take calls while you’re gone. Done right, it should be another way to convert leads. And if that’s your only goal, great. Keep that voicemail message if you want. But if you want even more results, think about an entirely different way of doing things. For example, you can tell people that you’re busy, but if they want immediate service, they can reach you at your website: www.fill-in-your-actual-domain-here.com. But don’t forget the incentive. You should also take the time to record exactly why they should visit your site right now if they want immediate results. For example, you can encourage them to fill out a brief questionnaire at your site, or a quote form. Tell them how long it will take (or how short: “no longer than 60 seconds”) and that you’ll get back to them ASAP once they’re finished. It doesn’t have to be a cheesy, over the top message, either. It can be as straight-forward and professional as you like. It can sound as personal and casual as you like, too. The most important thing: giving your potential leads something to do. Guiding them to the next step in the sales funnel. And, in a sneaky way, having them do a little bit of work to get themselves in your sales funnel right away. You’ve likely heard it before: you need to have a landing page. You might even have optimized that landing page for conversions in new ways. Maybe you’ve run an A/B split test. And that’s great—it’s a fantastic way to make progress. But let’s say you really want to optimize your landing page. You don’t want to leave a single stone unturned. What do you do? Look at the individual components you can change. For example, the starting recommendation for the width of your landing page is 960px to 1024px. Does your landing page fit in that range? Compliance text and trust badges are also vital ways to show that you’re a trustworthy company. But you don’t want them to get in the way. What do you do? You turn to the footer of your landing page. That’s an area where people frequently scroll, but not necessarily something they check right away. Another overlooked element: empty space. Empty space can be used to your advantage. It can highlight your powerful headline. It can make potential leads want to click through and learn more. It can provide your landing page with the compelling focus you desire. But you have to come back and review your landing page every so often, just to get a sense of it. Look at it with fresh eyes and ask yourself: is there something I can improve? Most marketers write a quick “thank you” page and forget that they can optimize even that. But that’s not where the sales funnel necessarily has to end. Don’t just “shoo” away clients by using a “I’ll get back to you later” boilerplate message. How does that make them feel important? Hint: it doesn’t. Not at all. …Thank-you video that gives tips and recommendations. …Series of credit report tools/links. …Portal of access to another part of your website. When someone is rewarded for engaging with you, they already get the sense that this is going to be a great business relationship. 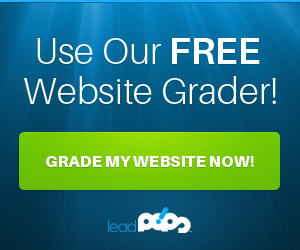 There’s no reason you can’t keep your leads warm with a simple, automated Thank You page. It only takes a few moments to set up, but will pay off dividends down the line. Just as you don’t like a leaky faucet—that’s money going down the drain—you also don’t want your website to leak its traffic to other sites. Website “leakage” occurs when you place too much of an emphasis on linking to other tools and portals. In essence, you’re sending potential conversions away from your site, which is where they should have a total, unique experience. The good news about this tip? It’s easy to take care of. Simply go through your blog posts once in a while and clean out any links that might not serve you. The same applies for the specific pieces of content on the site itself. Instead of showing your potential leads the other places they can go for their mortgage needs, start showing them that you’re a great source. You’re the site that should be bookmarked for further review. And if you’re not worthy of that bookmark, it’s time to add more value to the equation. It sounds like the simplest change in the book. And it just might be. But if you aren’t already following this rule, you’d be amazed at how often your CTA button can get totally ignored. The problem here is basic visibility. People like to scan through your text. They like to see their options. When they’re interested in the content, maybe they’ll slow down to read it all. But the web is primarily a visual experience, whether or not most web surfers would like to admit it. Contrast. Contrast a red button over white. White over darker colors. With effective and complementary contrasting, your button will be impossible to miss. Go bold. Orange, green, red—these are all great colors for the CTA button, especially when they tend to break up the visual pattern a little bit. That isn’t to say that your CTA should detract from the quality of your web site and the appearance of your brand. Done right, it doesn’t have to. But if you pay attention to these little details—as well as the other little-known boosts to your mortgage marketing on this list—you’ll have a much better chance at turning your potential leads into actual leads. And that is not a tiny detail. 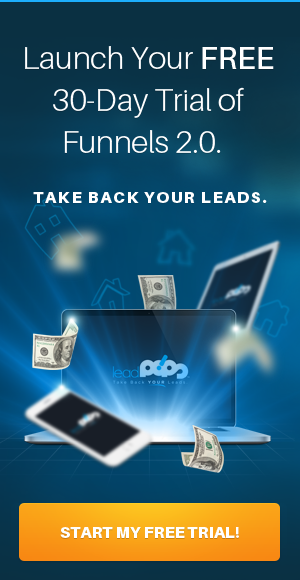 For even more access to marketing know-how and cutting-edge mortgage lead generation technology, sign up for a free trial of leadPops now!